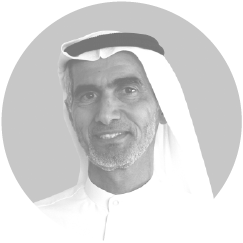 Saeed Mohamed Al Sharid is a distinguished leader with more than 30 years of experience in the fields of accounting and management. He was the General Manager for Emirates Transport for over 25 years. Throughout his career, he’s held positions in government and semi-government agencies, public joint stock companies, associations and financial institutions. He holds a BA in Business Administration with an emphasis in Accounting. – Dubai Courts since 2015 – Reg. No. 133. Obaid Mohamed Al Sharid is a Certified Public Accountant licensed in Montana, U.S., and holds a BA in Accounting and Economics from the University of UAE. He currently serves as the Senior Vice President – Finance Operations at Etisalat PJSC, where he has worked for over 25 years. His extensive knowledge of financial and managerial accounting, plus his leadership skills developed as a department head, attests to his talent as a financial professional. He’s also served as Board Member and Committee Member for various organizations. – Ministry of Economy License No. 746. – Ministry of Justice Registration No. 492. 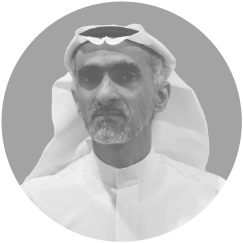 Mohamed Saeed Al Sharid is a seasoned accounting professional holding the Certified Public Accountant (CPA) Certified Internal Auditor (CIA) and Certified Management Accountant (CMA) designations, among other prestigious certifications. He received his Master of Commerce – Applied Science from the University of Queensland, Australia with an emphasis in Accounting. He currently serves as an Audit Manager for a Dubai government owned utilities organization and has over ten years of experience in accounting, auditing, budgeting and finance. 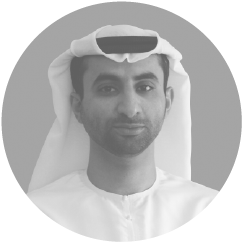 His experience working with Dubai government entities provides him insight into multiple facets of accounting and finance operations. – Ministry of Economy License No. 742. – Ministry of Justice Registration No. 534. 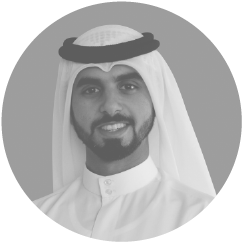 Ahmed Saeed Al Sharid is a Certified Management Accountant (CMA) and has over eight years of combined experience in areas such as auditing, finance, portfolio management and investment. He serves as Group Manager Operation for Dubai Investments PJSC, which is one of the leading public investment firms in the GCC. Additionally, earlier as well he served as Senior Auditor in the Financial Audit Department and Department of Finance for the government of Dubai. – Ministry of Economy License No. 740. – Ministry of Justice Registration No. 493.